Many people are confused about types of fats and which ones are healthy. 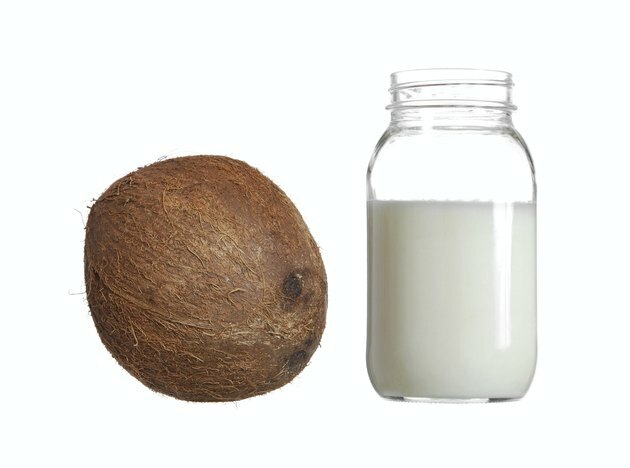 There is some conflicting information about coconut oil but the American Heart Association, American Dietetic Association and American Diabetes Association all recommend limiting your intake of saturated fats and hydrogenated fats like hydrogenated coconut oil. There are three main types of fats: saturated, monounsaturated and polyunsaturated. Coconut oil is a saturated fat, which means it is solid at room temperature. Saturated fats collect in your arteries and can lead to blockages. Saturated fats and hydrogenated or trans fats may cause cholesterol to rise. Trans fats are particularly dangerous because not only do they raise LDL cholesterol or the bad cholesterol but they also lower HDL, which is the good cholesterol. High LDL cholesterol and low HDL cholesterol in the blood is a risk factor for heart attacks. Hydrogenated coconut oil leads to the same risk for stroke as it does for heart disease. Just as the blood vessels are affected in the heart, they can also be affected in the brain. If blood vessels are blocked in the brain because of consuming a diet high in hydrogenated or saturated fats like coconut oil, this can lead to a stroke. Most products containing hydrogenated coconut oil are pastries, desserts, and other baked goods. These types of foods are usually high in calories and low in healthy nutrients. If you eat too many of these types of foods, you are more likely to gain weight, which may lead to obesity. Obesity causes diabetes, heart disease, high blood pressure and many other health problems. The American Heart Association recommends limiting your intake of saturated fats, hydrogenated and trans fats to less than 7 percent of calories. This means if you eat 2,000 calories a day you should eat less than 140 calories or 16 grams of saturated fat per day.